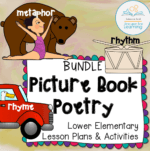 I’ve been creating units for kindergarten using picture books to introduce the poetic concepts of rhythm, rhyme, and metaphor. 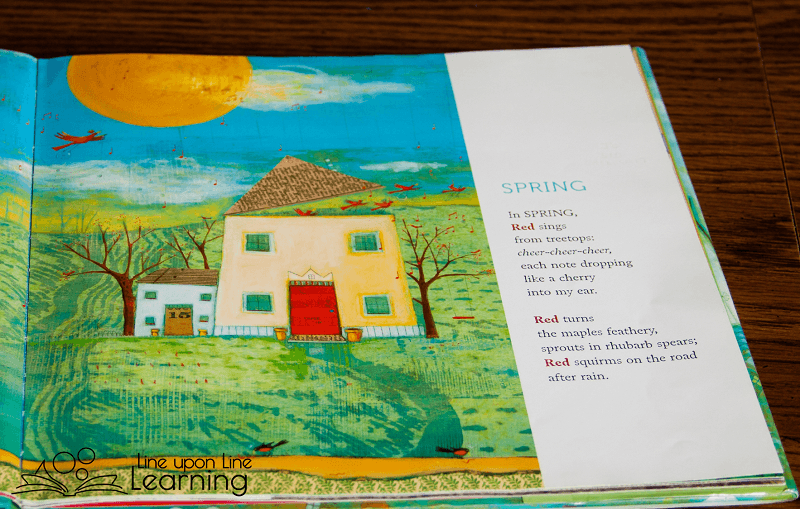 Today I thought I’d write about another picture book that would help in teaching older children about metaphors in poetry: Red Sings from Treetops by Joyce Sidman and illustrated by Pamela Zagarenski. 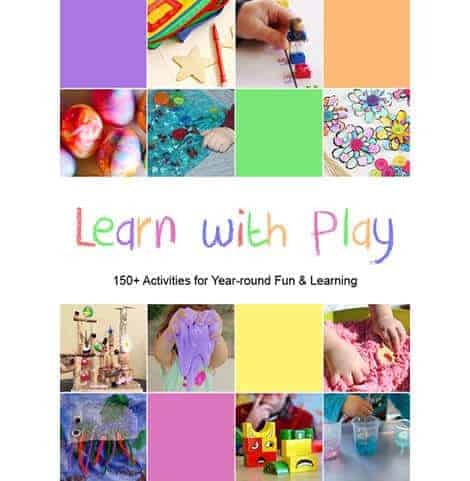 Red Sings from Treetops: A Year in Colors is a picture book extended poem with extensive use of metaphor and personification. Sidman uses colors as nouns in her free verse poem. Red (a bird) sings, red (tree buds) sprouts, and red (worms) squirm. Here is an example page to demonstrate how Sidman uses metaphor in Red Sings from Treetops. By renaming the familiar thing as colors, she gives them a new life. Color becomes a metaphor for all seasons, and I love how in each season the colors mean different things too. She also has a sprinkling of similes in there too. 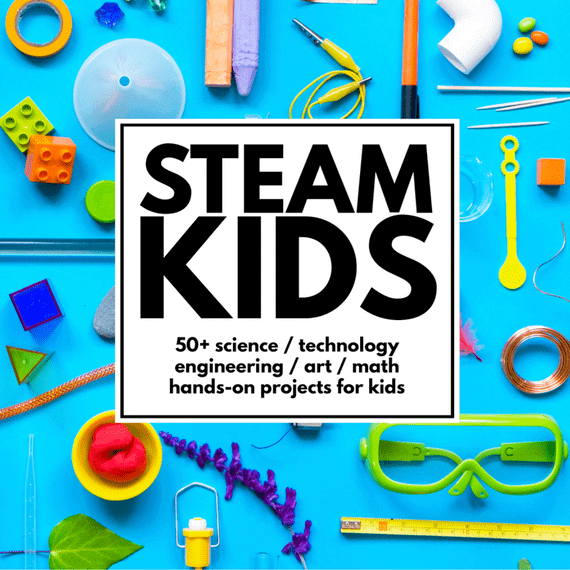 Sidman’s picture book would be a great way of teaching students about metaphors and getting those students thinking about what spring means to them! I created a brainstorming page for my writing class students to get them thinking in terms of the sights and sounds of spring, much as Sidman had done with all the seasons. 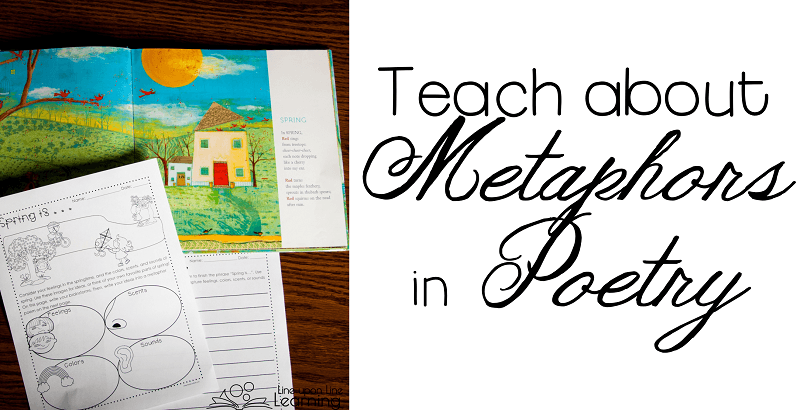 Help your students write a metaphor poem too. 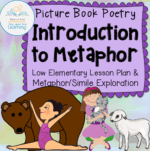 Get the metaphor poem brainstorming pages when you sign up to become a Line upon Line Learning VIP. 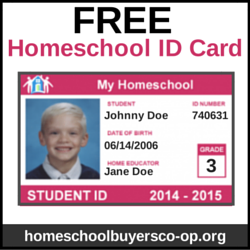 See these other related products if you are looking for something a bit more comprehensive. Sit outside in quiet so students have time to experience the season as they brainstorm. Each person may notice different things. 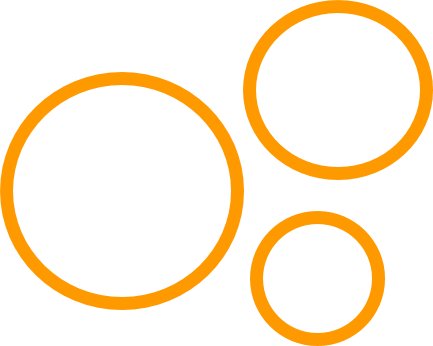 Which images would work as a noun? i.e., the colors (as Sidman had done) or the feelings, scents or sounds? Read other poems from imagism, such as Carl Sandburg, William Carolos Williams, and e.e. cummings. 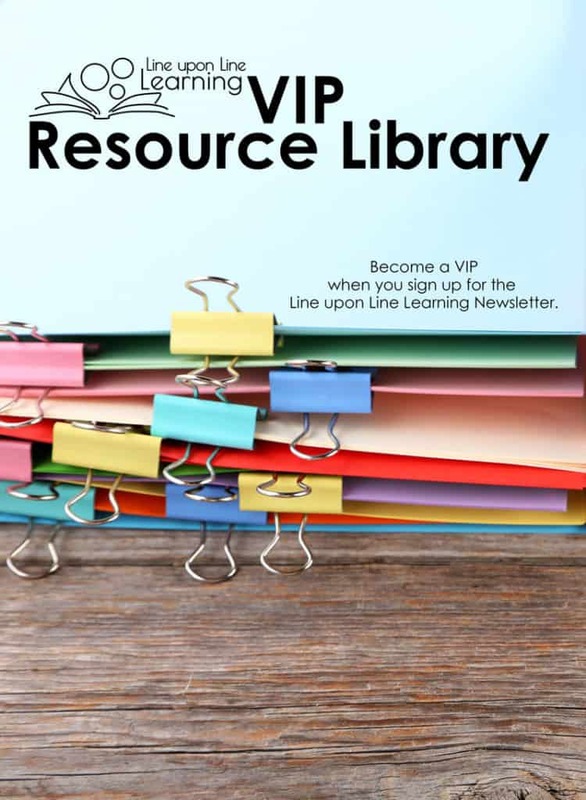 Don’t forget to download the free brainstorming page from the VIP Resource Library! 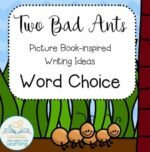 If you enjoyed this picture book lesson, pin it! 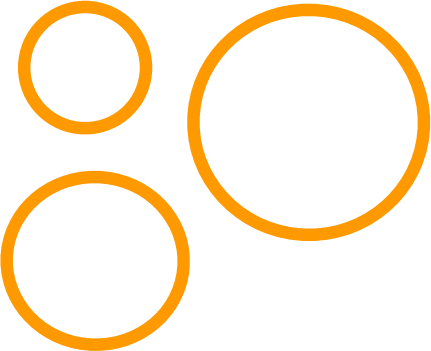 I am linking up with Mentor Monday.